I suggest unplugging EVERY electrical connection in the engine bay you can find, whether engine related or not, and spraying it out with a good electronics cleaner, visually inspecting the terminals making sure they haven’t retracted into the plastic holder, and then plugging it back together. There’s a critical 10-pin connector for the front lighting system located in front of the air cleaner and behind the left headlight assembly. Don’t miss that one. Also be sure that the connectors to the ballast resistor mounted near the air cleaner housing are clean and tight. ALL of the relays should be removed, the terminals wire-brushed until shiny, and the receptacles sprayed out with contact cleaner. Then plug them back in. I do this on every Renix Jeep I purchase or work on for someone else. Hey Cruiser, my 87 Jeep Wagoneer 4.0 does NOT have these fuel resistors, I purchased it this way and I did notice them hanging from the wire loom but didn’t know what they were at the time long story short the idiot that installed my alarm decided to clip and remove them for what reason ? I don’t know all I know is my jeep has ran ok aside from having a bit of rich fuel mixture and Nox on the dyno is pretty high. Should I re install them or just leave alone? Can you be more specific? Photos? Fuel resistors? 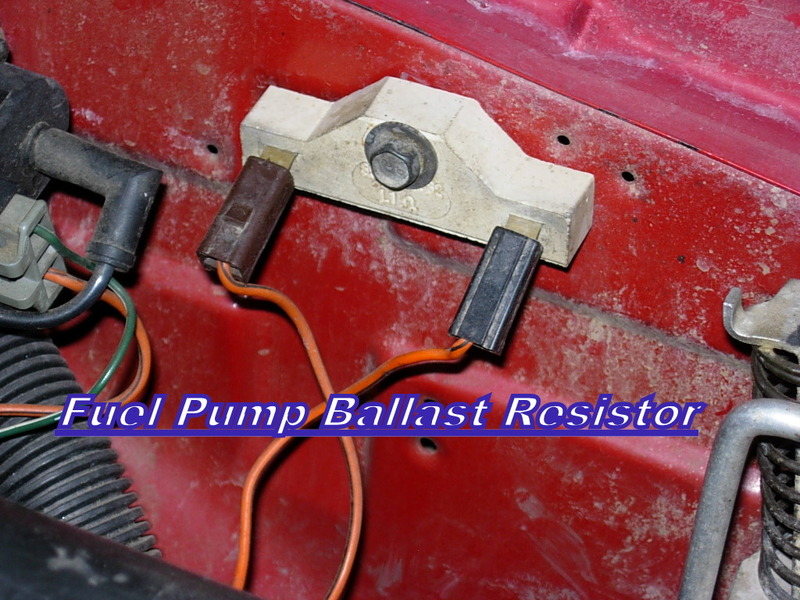 Do you mean fuel pump ballast resistor? If so, that can be bypassed and the pump MAY be a bit noisier. How many of the first 5 Tips have you completed so far? Mr Cruiser, have you found a fix for the Ignition Switch weak or overloaded terminal at the #10 gauge Brown wire connector? The AZ Duralast switches dont last long, a few years maybe. My last one was a Delco Remy jy find off a GM tilt column. It is going bad now, so I was hoping for a long term fix. I haven’t. It was a known problem on GM cars also. Perhaps do whatever you can to make that particular connector at the brown wire tighter? Tweak it a bit and use some Noalox on the pins sparingly. It’s a conductive grease that also seals out oxygen. What do you think, Cruiser, about including Greg Smith’s relay-modification/upgrade/improvement in the passenger door, to improve power locks performance? Also in that Greg Smith thread on NAXJA website, there is a mention of wiring modification to help with the power windows. Seems like the power lock solution is a major winner for many, and the power window solution might be. What is the fix for power windows? No one thing. Depending on what’s going on. Describe your issue. I was referring to the fix for power door locks mention in this thread. Something about the fix being in the passenger door. I’ve done it to both of the power lock equipped Jeeps in our family. It is wonderful!!!! Sorry, what I meant was to include the mod/upgrade/improvement in your list of Mostly Renix Tips. It seems to be endemic to all the XJs from the Renix era and beyond. Gotcha. It’s in the helpful links. Ah – I hadn’t gotten to those links yet. Just looked them over – they’re great! 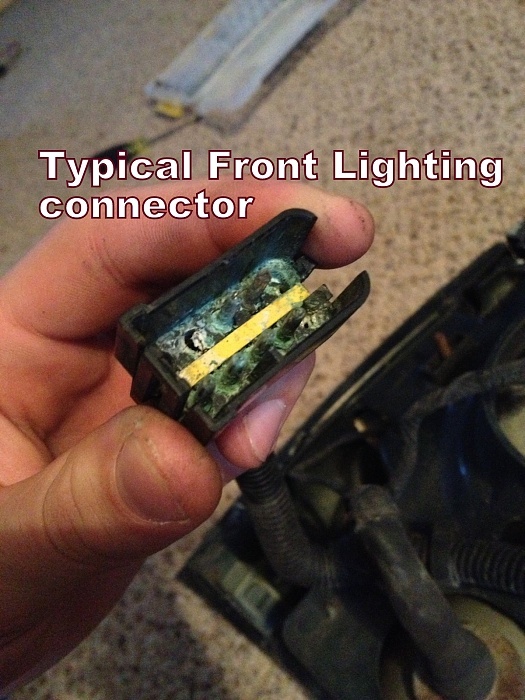 I took a look at my front light harness connector because my front turn signals do not work, the arrows in the dash only glow solid when the headlights are turned on. Upon taking the connectors apart several wires on the front light harness side were completed corroded and broke off of the pins. It appears the source side connector and its pins and wires are in good shape. Is there a source for a new harness, or at least the connector and pins? Or am I better off replacing with marine heat-shrink push together terminals, or should I go one step further and put weatherpack/ metripack connectors on the wires? I also have a harness to put the headlights on relays in the mail. I noticed that there is a large electrical connector pluged into the firewall on the driver side next to the brake booster, goes to the fuse box. Any idea as to how to get it unpluged for cleaning? 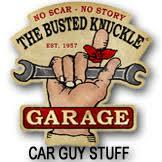 It has a center bolt which is 1/4″ or 7mm and comes apart like the C101 does. Ain’t fun getting to it though!! !